Queensland Investment Corporation has picked a new managing director for its global real estate division. Michael O’Brien will be taking on the role, replacing former managing director Steve Leigh as he retires. 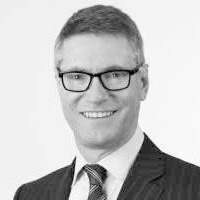 Mr O’Brien is currently CFO of Vicinity Centres, Australia’s second largest listed manager of retail property, with responsibility for the investment strategy for an integrated asset management platform. In this key leadership position at QIC, Mr O’Brien will report to QIC’s CEO Damien Frawley, serve on the QIC Executive Committee, and lead a team of more than 500 people globally managing 50 assets. “Michael has a distinguished, 30-year real estate career and an impressive record of accomplishment in shopping centre management and development, real estate funds management and finance,” Damien Frawley, CEO, QIC, said. In the past, Mr O’Brien was the chief investment officer at Vicinity along with having held senior investment and operational roles with Vicinity Centres, GPT Group and Lend Lease Corporation. While at Vicinity Centres, he has been responsible for the organisation’s finance, investment management and capital transactions, as well as its wholesale funds and strategic partnerships business. In his most recent role, he led the investment strategy for a retail portfolio with a significant pipeline of mixed-use development, similar to that of QIC. Commenting on his appointment, Mr O’Brien said: “I am delighted to join QIC and assume responsibility for QIC’s global real estate platform. “It will be a privilege to lead a world-class team of real estate specialists with significant operational and investment management expertise which has delivered strong investment returns for QIC’s clients. QIC’s real estate portfolio is currently valued at approximately A$22.4 billion (US$15.7 billion) as at 31 December 2018.